The Huawei Y7 Prime 2018 specs It runs on Android 8.0 (Oreo) with a weight of 155g (5.47 oz) it accepts GSM, HSPA and LTE network connections, packs 3+32GB ROM with Octa-Core 1.4 GHz Cortex-A53 CPU processing power for faster multitasking capabilities and supports Dual SIM plus has 1 SD Slot. The Full-View display screen of 5.99” 720 x 1440 pixels, 18:9 ratio (~269 ppi density) is awesome, I know friends who watch movies/videos or read ebooks via their phones especially while traveling and in bed anyway... The Y7 Prime 2018 is equipped with a Dual Rear Camera 13MP and 2MP with an LED selfie flash for better quality photos. The Y7 guarantees you better security with a rear mounted Fingerprint reader and face recognition capability from the front camera. Huawei and Kilimall.co.ke teamed up in hosting the Huawei Fans Festival which has been running since April 4th and will end on 19th. The festival has been separated in segments; April 4th to 10th is for rewarding Huawei fans, April 11th to 18th is the window for pre-ordering the Huawei Y7 from Kilimall site. Lastly on the 19th and final day of the festival, Huawei in cooperation with Kilimall is expected to launch the Huawei Y7 Prime 2018 smartphone and Kilimall Mobile week. The phone will start being sold in Kenya on the 19th. 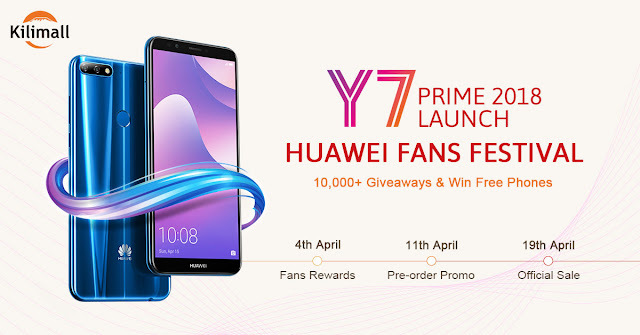 Huawei launched the Fans Festival in April 4th, 2018 on Kilimall with “Guess the Price Y7 Prime 2018” online game to win the free phone. Huawei big fans were told to share the experience using the hashtag #HuaweiBigFan and tag @Kilimall on social media to stand a chance to win great prizes and even participate in the launch event. Today is 15th April 2018, Pre-order promo window is still on! 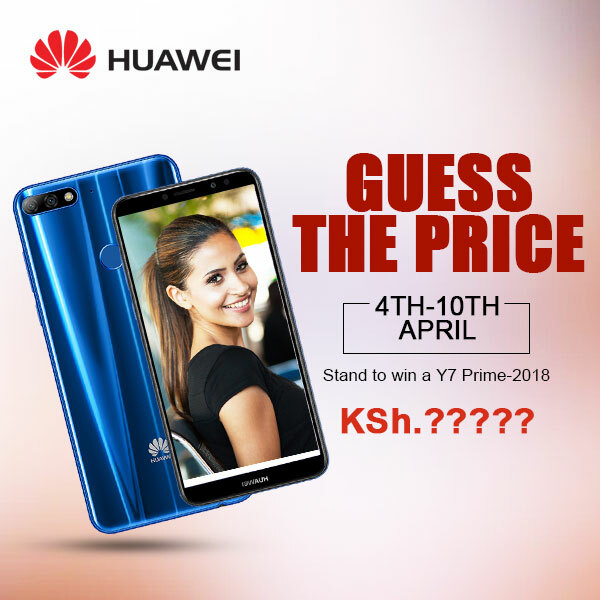 It ends on the 18th of April 2018, dive into www.kilimall.co.ke now and pre-order the Huawei Y7 Prime 2018 phone with a deposit of Ksh.777 and complete the payment of Ksh.16,222 between April 19th - 25th. If you successfully pay the balance by that date you will get additional surprise gift package which will value up to Ksh.5000 . In addition, three lucky buyers will be selected from the successful buyers to get the Huawei Y7 2018 phone for free. Click on the photo below to place your order. Kilimall Mobile week will follow the Huawei Fans Festival from Apr 20th to May 5th. Kilimall customers will still enjoy the unique price of Huawei Y7 Prime but with no surprise gift package plus also benefit from lower prices of all other smartphone top brands, smart TVs, computers, tablets, with Brand warranty, 100% Genuine and 7 days Free return policy in certain circumstance. Don't be left out. Thanks for sharing the valuable information about the Huawei Phones In Kenya. Please keep updating for the future posts. Hi Hubtechshop ltd, thank you for reading and commenting. Because your comment has a link, I'll let it be visible just for a day to support you. 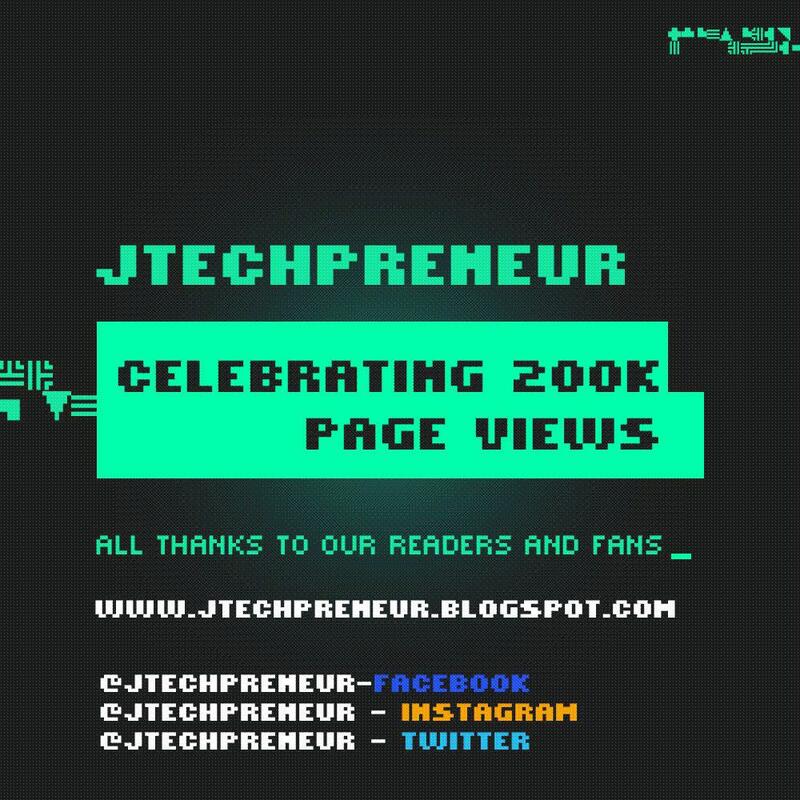 For ads and backlinks on our blog please email us.